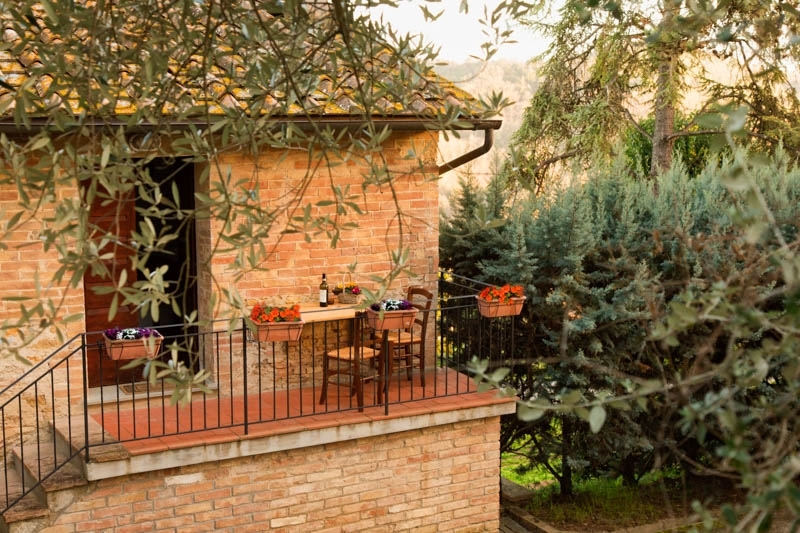 Beautiful small terrace at entrance. 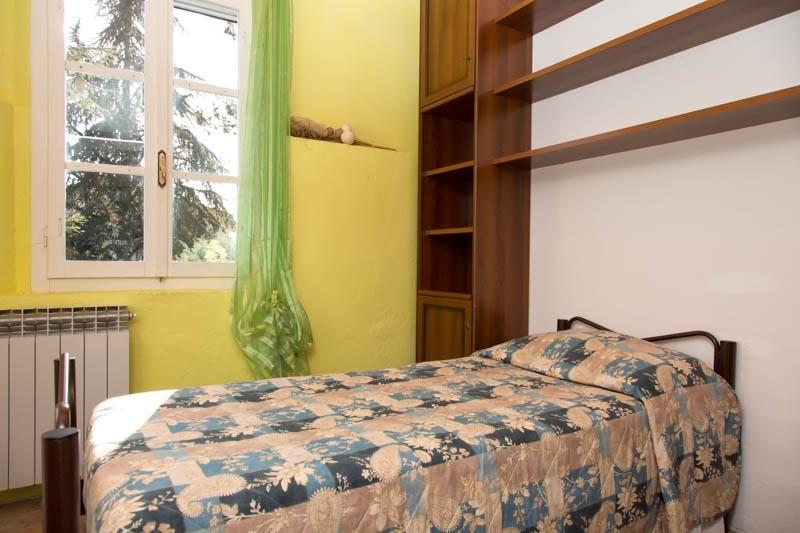 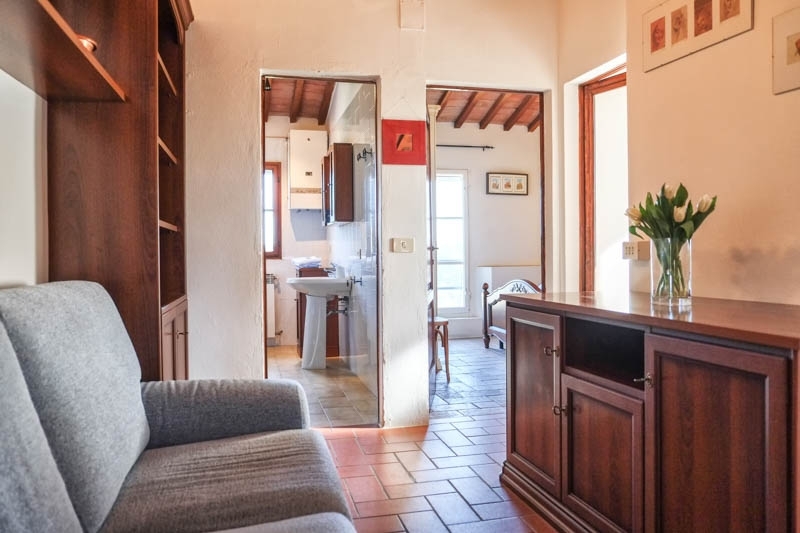 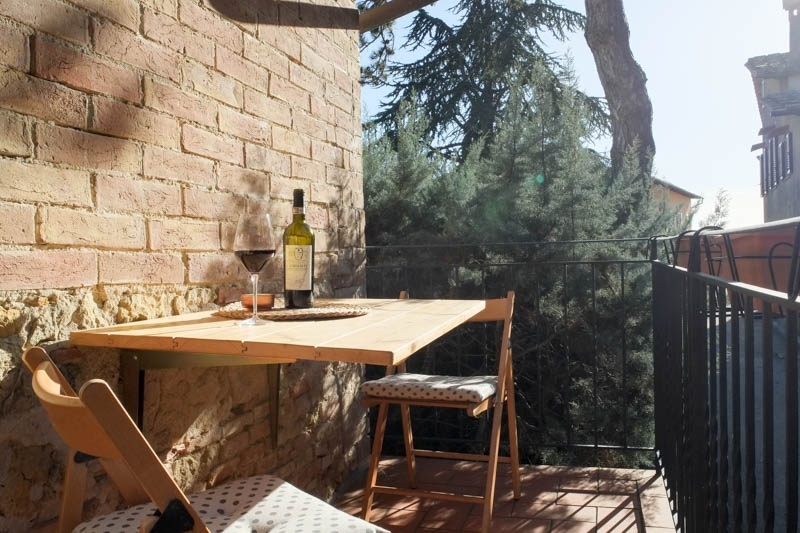 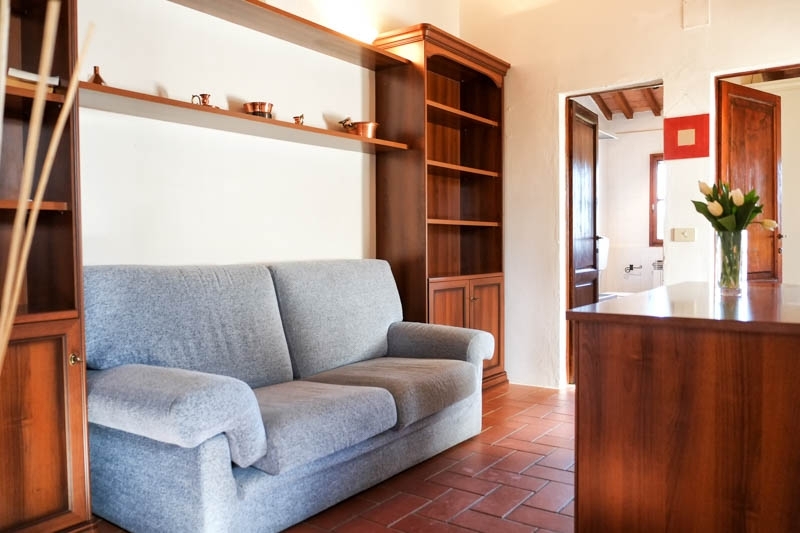 Living kitchen with sofa, double bedroom with panoramic views over the valley and the ancient church of Saint Appiano. 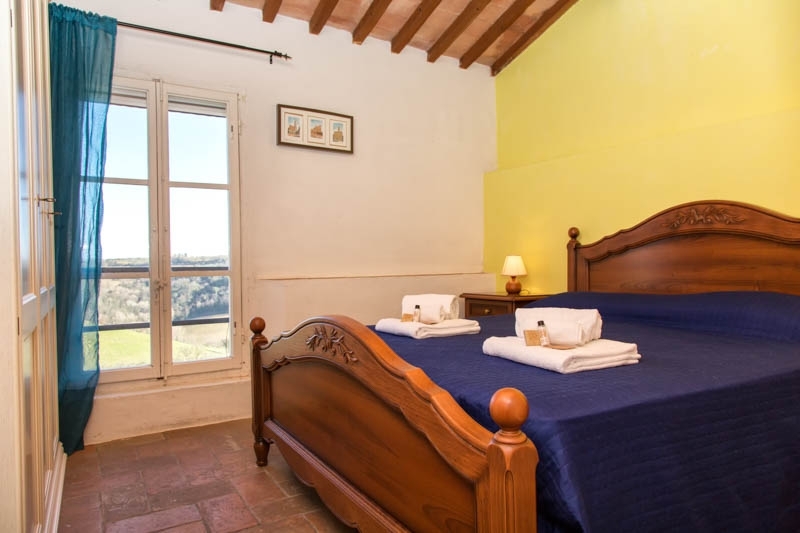 Single bedroom sheltered by a large mimosa tree. 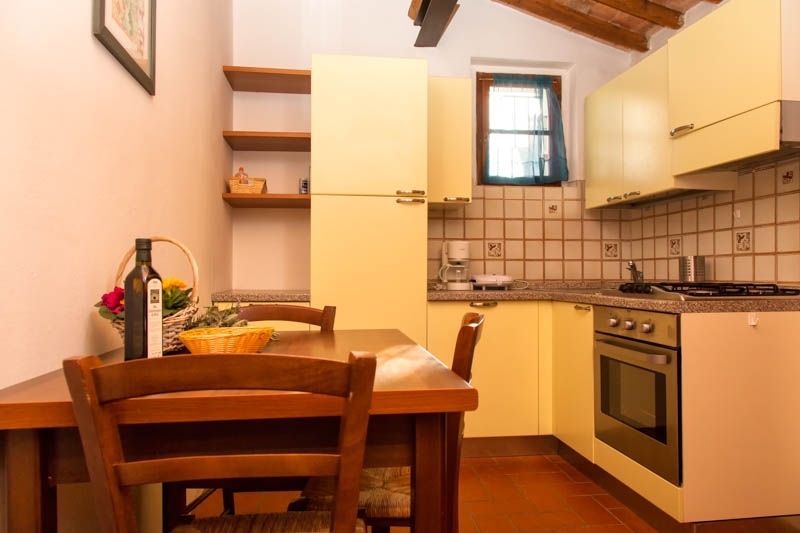 Services: well equipped kitchen, independent heating, oven, shower and bath.